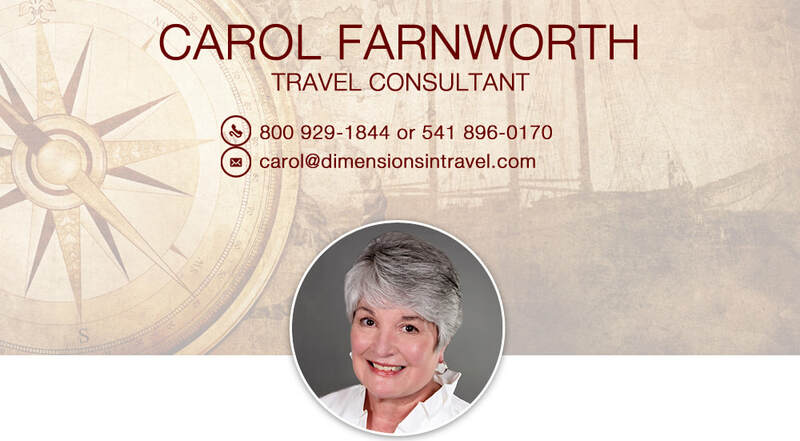 I have been a travel consultant with Dimensions in Travel since 1984 and have been a Certified Travel Consultant since 1988. I didn’t grow up in a family that traveled. We stayed the same week every year at the same resort, in a little cabin along the Russian River in northern California. But I had an aunt who worked for American Airlines, and she and my uncle went on vacations that sounded so exotic like Mexico and Hawaii before it became a state. That’s what I wanted to do as well. Even though I hate to fly, it doesn’t keep me home! And airports can be exciting, romantic places, too. I met my husband John, whom I call an Englishman with an American passport, when he worked for British Airways at SFO 36 years ago. I thought he was the nicest man I’d ever met, and still think so today. We’ve had lots of adventures traveling. I look forward to working with you in planning your next vacation. "I wanted thank you for working with me and G. organizing this trip …You are really fantastic at what you do. Your skill (concrete and interpersonal added to making this my dream vacation - something I dreamed about for about 20 years now… Thank you thank you thank you. I am so deeply contented." Sophia T.
"We so enjoyed our vacation/vet conference in Maui and Oahu! I appreciate having the confidence to know you hand picked our hotels…When you have booked our travel, I'm just so much more relaxed about the arrangements, so again I can only say thank you…" Sadie R.
"Just want to let you know we had an absolutely wonderful trip to France. As the Globus French Sampler tour name implies, we saw a lot! Thank you so much for all your suggestions. The flights, tour, etc all went well." 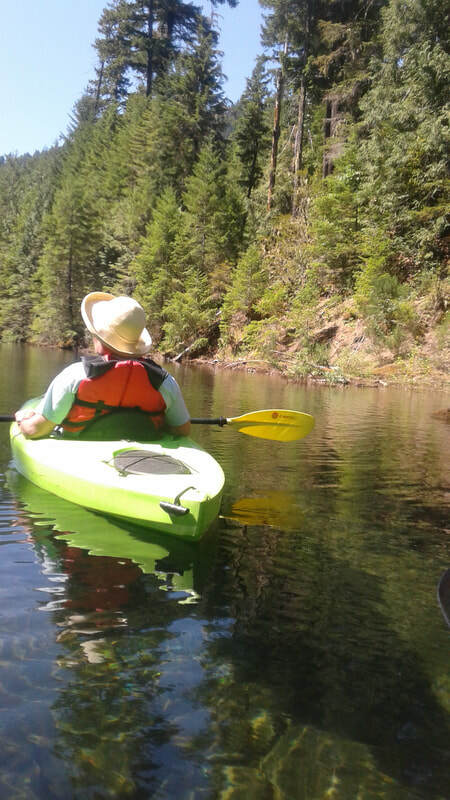 Cindy M.
Office Location: After working for Dimensions in Travel for many years at the office in Novato, California, I now work from my home office in Vida, Oregon. Favorite Land Tour: I traveled to Cambodia and Vietnam - yes that's me in the rickshaw below. I enjoy helping plan itineraries to this fascinating part of the world. Favorite Cruise: Sailing in Tahiti on the Paul Gauguin. Hawaii gets as many visitors over a weekend as Tahiti gets in a year. Hawaii is beautiful but Tahiti is spectacular. Most Unique Place I've Been: Dubai! Where else can you ski or snowboard in an indoor ski resort, and then, drive the same day over desert dunes in a vintage Range Rover AND later ride a camel? I saw amazing architecture, the tallest building in the world and a shopping mall with 1,200 stores. There is nothing else quite like Dubai. Europe, especially Great Britain, France, Italy, Spain and Portugal. Active vacations featuring biking, hiking and multi-sport trips. I travel frequently to Europe. I've been to England more than 30 times. 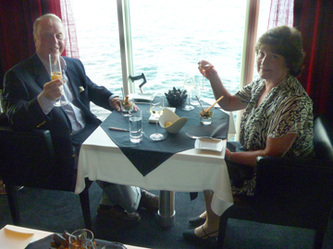 I have done 7 river cruises with the major river cruise lines in Europe. 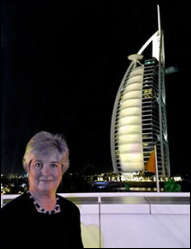 I've sailed on the luxury ocean cruise ships of Cunard, Crystal, Silversea and Regent Seven Seas, including a TransAtlantic voyage with Seabourn. Kenya is another favorite - so colorful and vibrant.